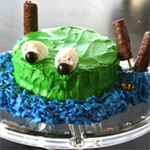 I used to make this for dinner parties all the time, but I've decided to move it on over to the lunch time slot. It's so healthy: you've got protein in the bean puree, carbs in the bread, and veggies with little fat to hold it all together. 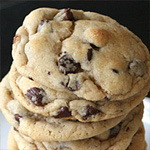 It really is a great lunch and is so filling that, as an appetizer, it kind of steals the meal. I think it's time my Veggie Sandwich had it's own show: I like to call it 'The Tastiest Healthy Lunch You Can't Get at Subway!' 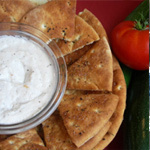 You can even eat your leftover bean dip with pita chips later on. Just call it a two for one deal. 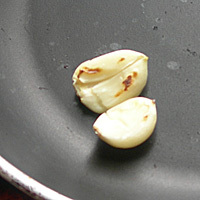 Place garlic in a dry non-stick pan. 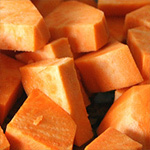 Roast on med high heat, turning over once, until brown spots appear, about 5 minutes. Rinse your beans well. This is pretty important. I wouldn't recommend skipping this step unless you want to be uncomfortable later. 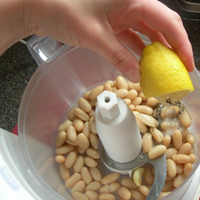 Put beans, salt, and pepper in a food processor or blender. Squeeze the juice from a half a lemon into the bowl. Process until combined. With the lid on(pardon my picture), add oil in a steady stream while continuing to process on low speed until the dip becomes creamy. Slice a loaf of crusty bread and arrange on a cookie sheet. Brush with olive oil and bake on 400 until toasted. Roast a red pepper and cut into strips. See red pepper produce page for directions. Shred 1/2 head of green lettuce. Squeeze the juice of 1/2 lemon over the lettuce and sprinkle with salt and pepper. Spread White Bean Dip on each toast. 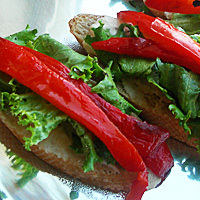 Top each with lettuce and two strips of roasted red pepper. Serve warm. 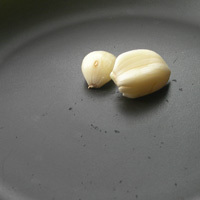 White Bean Dip: Place garlic in a dry non-stick pan. Roast on med high heat, turning over once, until brown spots appear, about 5 minutes. 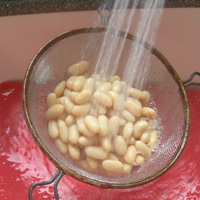 Rinse your beans well. This is pretty important. I wouldn't recommend skipping this step unless you want to be uncomfortable later. 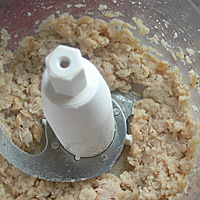 Put beans, salt, and pepper in a food processor or blender. Squeeze the juice from a half a lemon into the bowl. 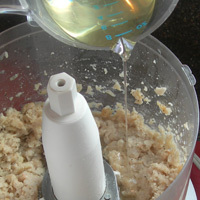 With the lid on, add oil in a steady stream while continuing to process on low speed until the dip becomes creamy. 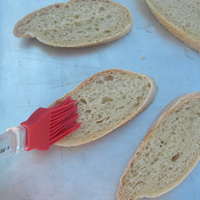 Sandwich Assembly: Slice a loaf of crusty bread and arrange on a cookie sheet. Brush with olive oil and bake on 400 until toasted. 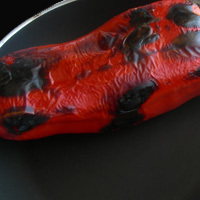 Roast a red pepper and cut into strips. See red pepper produce page for directions. Shred 1/2 head of green lettuce. 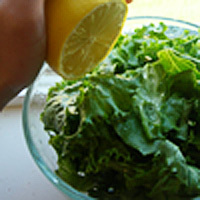 Squeeze the juice of 1/2 lemon over the lettuce and sprinkle with salt and pepper. Spread White Bean Dip on each toast. Top each with lettuce and two strips of roasted red pepper. Note: White Bean Dip and roasted red peppers can be made one or two days in advance. You can make ahead and store for lunch all week.